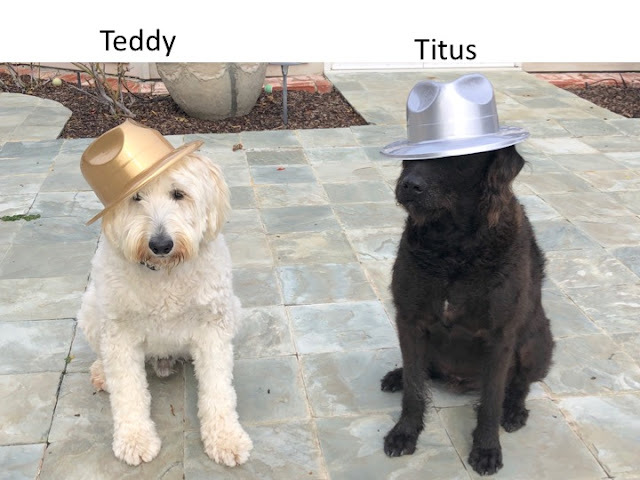 For Hat Day, Teddy and I chose our two fave hats. Problem was, our faves were the same. So we are asking your help in which one I should wear and which one Teddy should wear. 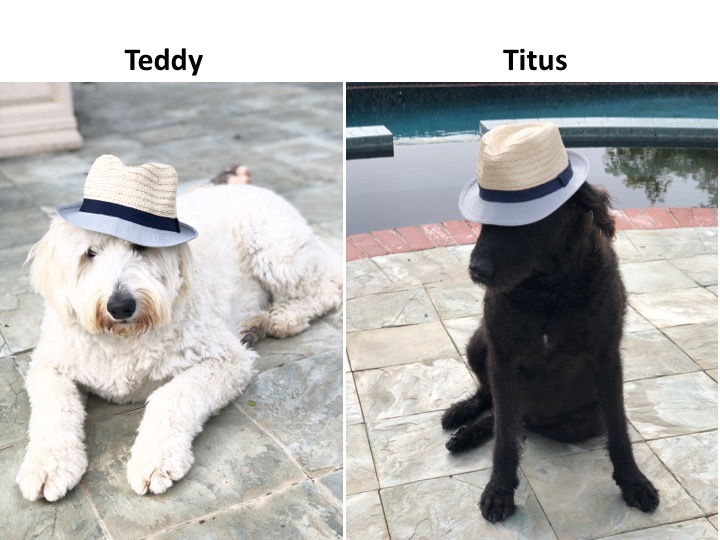 Hat one: Who wore it better? Hat Two: Who wore it better? Thanks! BTW, Teddy wasn't too thrilled about putting on a hat either ! That took many cookies! TitusSMOOCHES! Thank you. Glad you think so, because it is actually my hat ! TitusSMOOCHES! This is a tough call, you both are so handsome....but I have to give it to Titus. With the hat on did you notice Titus looks like Smokey The Bear? ....and you live in CA. Thank you LuLu! I never saw myself as Smokey ! He is so handsome! I am flattered! TittusSMOOCHES! Oh you are so diplomatic !!!! We both thank you! TitusSMOOCHES!